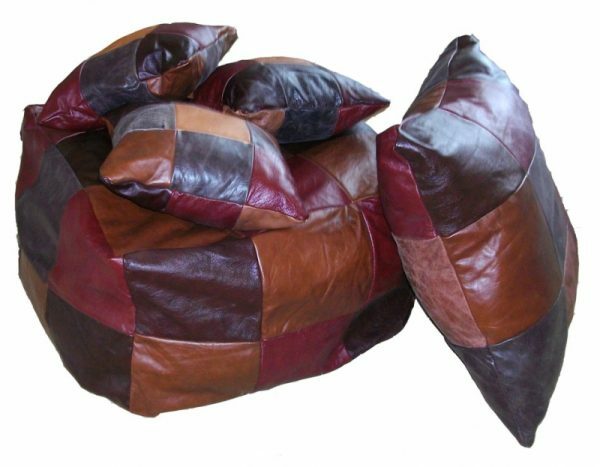 Limited edition Leather Beanbag and cushions set fantastic value for money made from real leather. Patchwork design in contrasting colours, hand made for quality. This set includes One large beanbag, One Large Floor cushion, and five small cushions. This set is ideal for relaxing at home and giving your home a cozy feel. Please note this item is made to order and will vary to the item pictured.